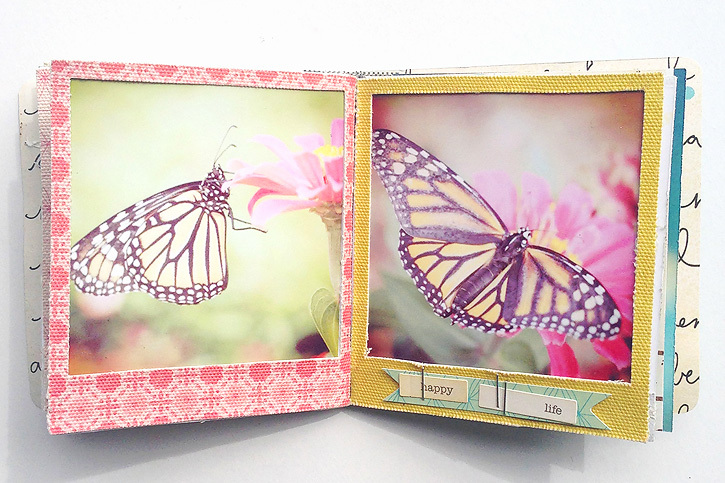 The Maggie Holmes collection by Crate Paper is incredibly beautiful! 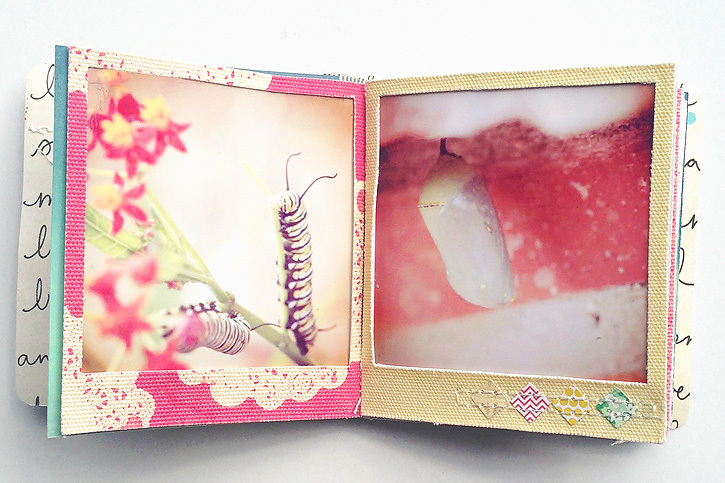 I especially love the fabric frames so I wanted to use them to create a minibook. After a few tries, this is what I came up with. I cut out the corner of a magazine for my base. That way I had a little book that was already bound for me! I just glued my photos and the frames to the pages of the magazine and added a cover. 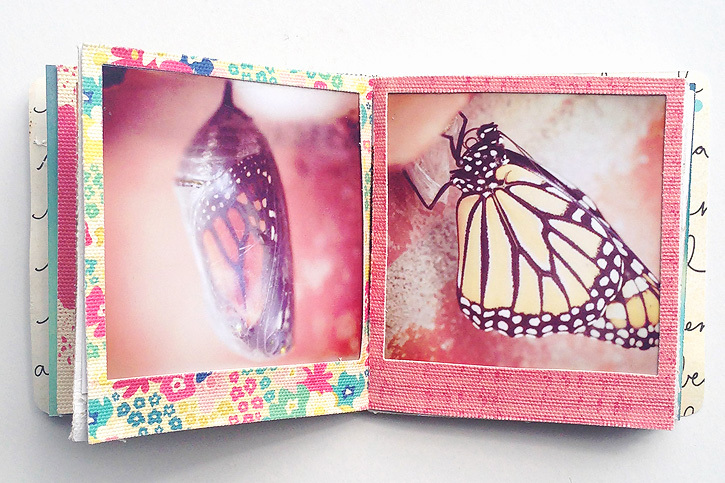 My subject was the monarch that emerged from its chrysalis in our backyard last summer. You can see all the pictures from that amazing experience from caterpillar to butterfly here, here and here. 1. Use heavy duty scissors to cut out the top corner of the magazine at just under the size of the frames. My magazine was 80 pages long and a big difficult to cut. 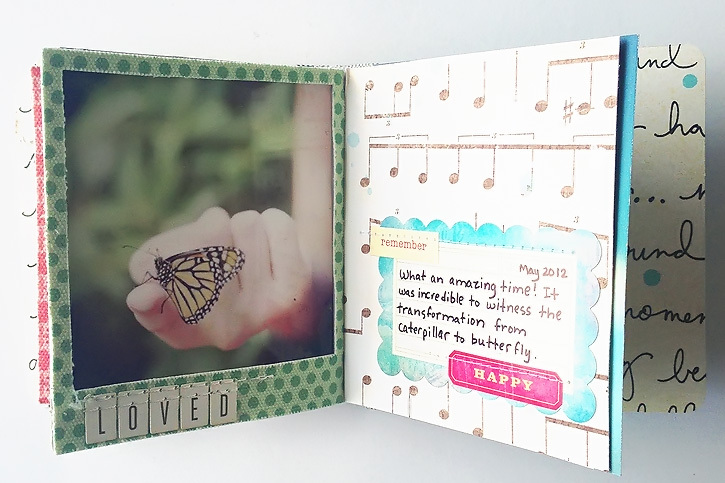 The pages came out a little jagged and messy, but that's okay - they don't show! 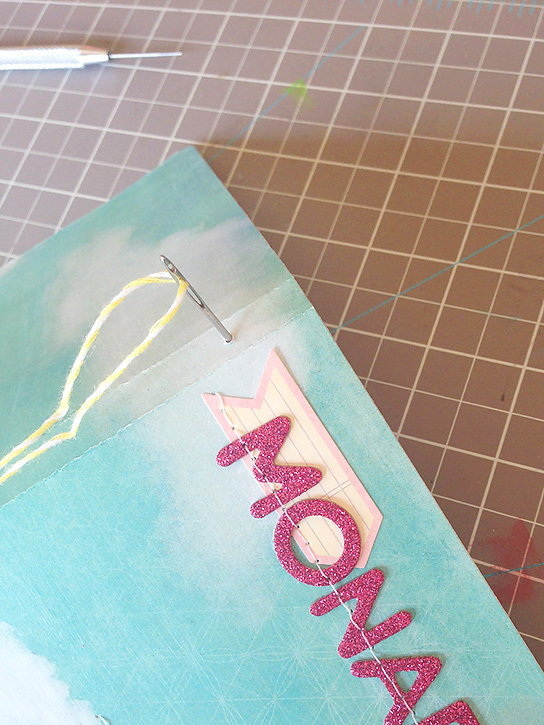 Divide the pages evenly into six sections and staple each section of pages together at the bottom (so the bulkiness of the staple will be under the fabric frame). 2. 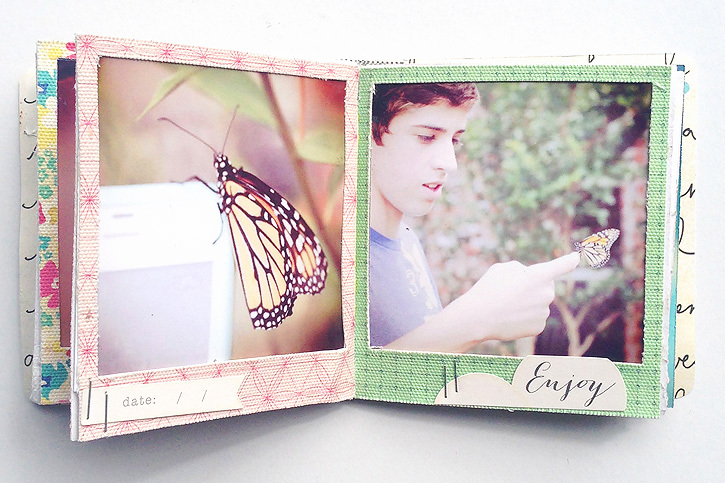 Adhere a frame and photo to each page, positioning the frame all the way to the center. I used tombow mono multi liquid glue because it allowed me to reposition the frame before it dried if I needed to. I adhered the inner edge first, added the photo underneath the frame and then adhered the rest. 3. 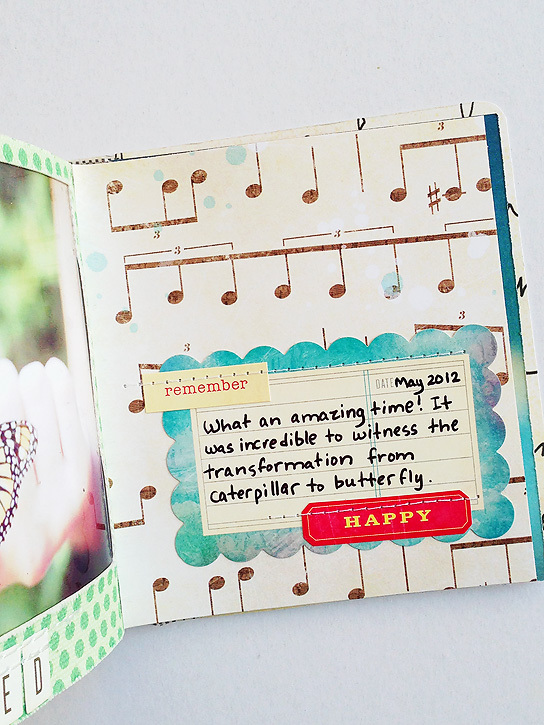 Cut a piece of patterned paper to fit the last page of the album and adhere it on the last section of magazine pages. I added a label and some journaling to this page. 4. 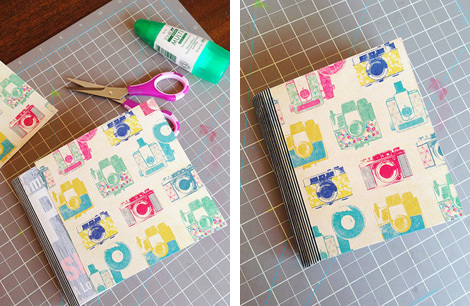 Cut two pieces of patterned paper at about 4.25x5" and adhere to front and back of the minibook even with the outside edges. 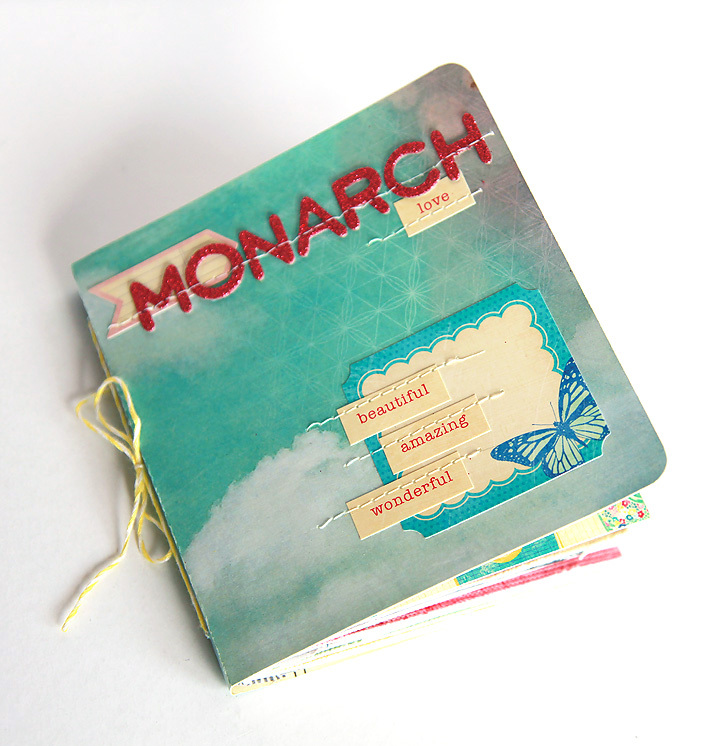 Cover the spine with washi tape so that no part of the magazine shows. After this step, you'll have a nice little minibook. You could embellish the cover, add a title and be done! 5. I decided to add one more thing - a separate cover. The patterned paper is 10.125" wide by 5.125" tall and scored 4.75" in from each side to create a spine. I decorated the front with thickers, sewing and embellishments and rounded the corners. The cover is attached with twine. I used a paper piercer to punch a tiny hole through the binding and cover about half an inch from each end. Then I used a needle to thread the twine through the holes and tied the twine into a bow. 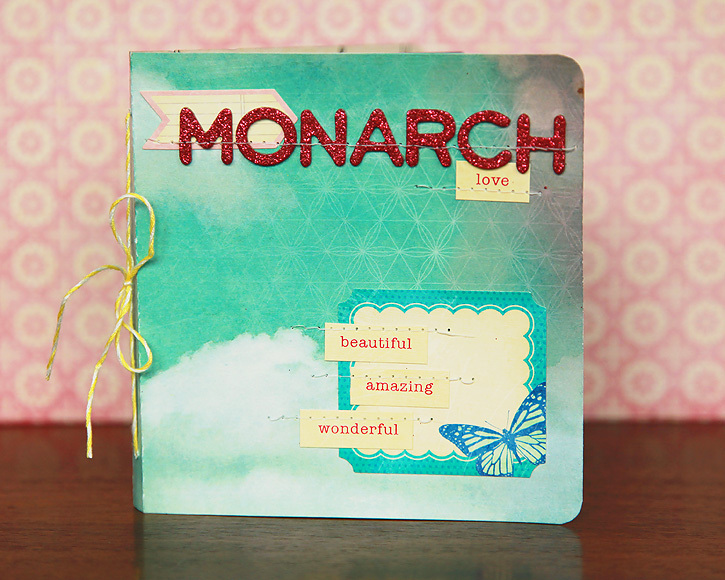 Products used to create this minibook are linked below. Wow! The mini book turned out great! Love those fabric frames! This turned out so great Deb. 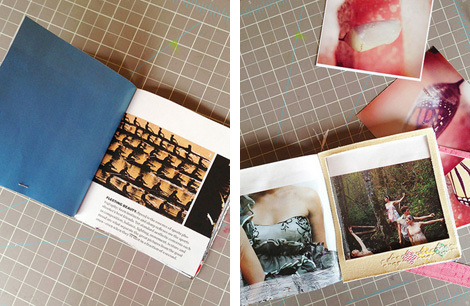 your photos are just breathtaking and you are so smart to use a magazine for your book. I will remember that great trick. I hope you are able to capture some monarchs again this year. Thanks Toni! I'm hoping we have some in our backyard again too! It was just so amazing!! What an amazing thing to document! These photos are stunning and the album turned out great! It's so awesome that your son was able to hold the butterfly, too!